Violent confrontations and gunshots have marred the senatorial primaries of the Peoples Democratic Party in Makurdi, during which at least 10 persons were reportedly injured. Several people on Thursday night sustained severe injuries, with over 20 vehicles badly damaged during the party’s Benue South senatorial district primary elections, held at Aper Aku Stadium in Makurdi, the Benue State capital. Our reporter who monitored the situation observed that thugs barricaded the entrance to the venue of the primary for the state and national assemblies in Benue South senatorial district. 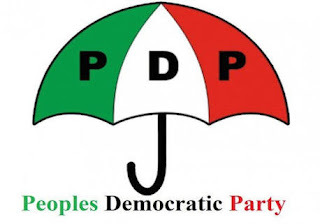 Earlier, on Tuesday, the PDP senatorial primary could not hold in Otukpo, senatorial headquarters, on ground of “falsification of delegates’ lists,” hence, the electoral committee members shifted the venue to Makurdi to forestall crisis. However, on Thursday night, trouble started when accreditation of delegates was on going and some persons protested against the list of delegates from Ohimini Local Government Area. It was in the process that some young people suspected to be thugs working for various aspirants started hauling stones at delegates, which forced the security agents to shoot into the air to disperse the crowd. But as hard as police tried, some hoodlums, most of whom were said to be armed, responded with gunshots, leading to violent confrontations. The hoodlums seized the opportunity to wreak havoc on facilities at the stadium, they destroyed cars while people scampered for safety. At the time our correspondent was leaving the stadium, a team of policemen were sighted in four Hilux vehicles driven to the venue. The command spokesman, DSP Moses Yamu, when contacted on phone on Friday, said he was not aware of the incident. Speaking to newsmen before the pandemonium, the state deputy governor, Benson Abounu, expressed dissatisfaction with the way and manner the primary was conducted. “It is not right that the exercise could not hold in Otukpo and shifted to Makurdi, yet people are still fighting themselves to ensure that the exercise was disrupted.